My grandmother’s silver-plate caddy, complete with bell to summon the help, has six lead crystal cruets, some with silver lids, some with stoppers, to hold vinegar, oil and salad dressings. I use it for flowers now. A friend who’s had a much harder row to hoe with her breast cancer than I, says she doesn’t know if she’ll ever be back to “the old me” after chemo. I was lucky enough to skip the chemo; just a lumpectomy and 15 radiation treatments for me. So I’m thinking I don’t necessarily want to go back to the old me — I’m nicer now, more thoughtful, more aware of the trials of others and definitely more grateful. I’m grateful that I was here this morning to enjoy a gorgeous day with low humidity and air like a good sherry. 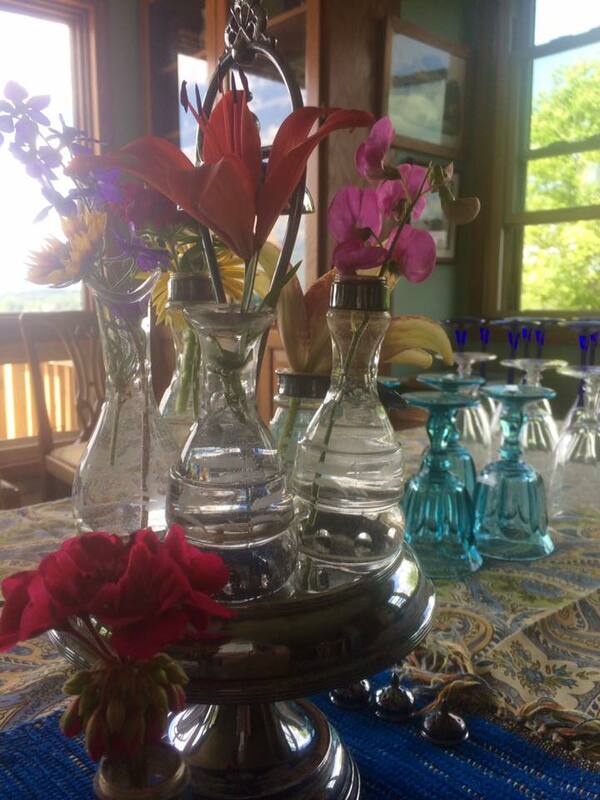 I’m grateful for friends and food and flowers, even for Facebook, because it enables me to keep up with those. I’m grateful that my radiation’s finished, for the super-nice people who do that sort of thing at Wake Forest Baptist Health in Winston-Salem and that someone I really like is coming home to me in about another 10 minutes. So much. So undeserved. What we Christians know as grace, as trying to live life with a heart of humility. We didn’t earn these blessings. We’re not special. These riches are ours by the inexplicable, boundless grace of God. And because we know how blessed we are, the reasoning should go, we’re more generous with others, even strangers, and nicer to ourselves. We take care of our bodies the best we can with eating well at the top of that to-do list. Vegetables, fruit and more vegetables. My cousin Phil just posted my grandmother’s (his Aunt Mabel’s) recipe for French dressing. Like my mother, she cooked three meals a day, serving dinner at 6 p.m. in either the dining room or on the eating porch (warm weather in the days before air conditioning). She wouldn’t have considered dressing from a bottle. This recipe from lovegrowswild.com is wonderful, much less sweet with more depth of flavor than any poppyseed dressing you can buy. The onion, mustard and vinegar combine — as they do in so many home-made salad dressings — into something greater than those ingredients separately. You can probably count on one finger that number of male dinner guests who’ve complimented a salad dressing at your table. 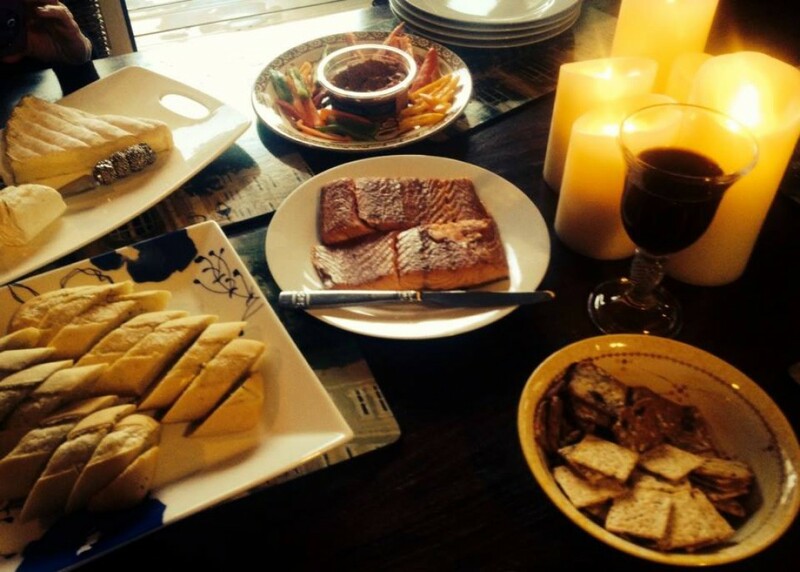 This one got several raves when we hosted our church supper club at the beginning of the month. We ate it over spinach, fresh strawberries, blue cheese crumbles, pecans and dried cranberries, all at the suggestion of my friend and kitchen goddess, Michon. You can whisk together in any order. This dressing is not as thick as commercial dressings (the word that comes to mind is “viscous”), but it’s at least twice as flavorful. Refrigerate leftovers. 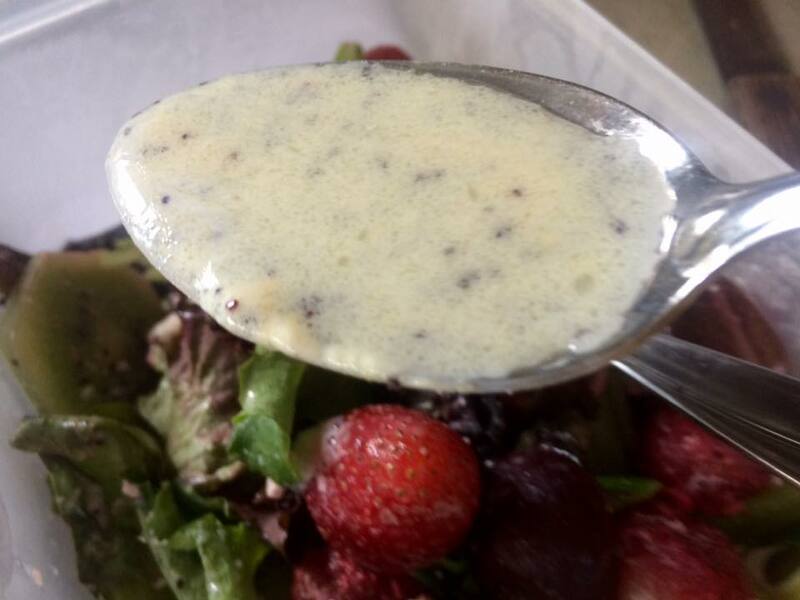 This dressing brings out the best in any fruit throughout the spring and summer. 1. 71 is no longer old. 3. Can I go zip lining with you? Like your photo, worth clicking on to enlarge. I was wondering what kind of clothes you use to dress a poppy seed, guess I’ll have that to ponder. I like the new you, nice thoughts. I’m not a dressing person, but who knows, I might just try this.